There are many reasons you may want to transfer photos from phone to your computer. From backing up your images for safekeeping, transferring a snap to edit on your computer, or simply to free up space on your phone - learning how to transfer photos from phone to computer is essential. Get the free Transfer Companion App on your Android phone from Google Play Store. The computer and phone are now linked. Select the photos that you'd like to transfer, and hit "Copy Photos"! If you prefer transfer photos from your Android phone over USB, connect your phone to your computer with a USB cable. Once connected, you'll see your device name in the Windows File Explorer on your computer. Double-click your device. Here you can access it's internal storage. Your photos will be located in either the "DCIM" or "Pictures" folders. Simply select the pictures you'd like to transfer, right-click and hit copy. Then, right-click and paste into a location on your computer. Transferring files from your Android phone to a Mac can be a little more difficult. For this type of transfer, we would recommend using Android File Transfer. Once installed on your Mac, you'll be able to connect your Android phone to the Mac, and copy files from the device to the Mac. Download TouchCopy on your PC and run it. Connect your iPhone to your PC using a USB cable. Click the "Photos" tab to view all of your iPhone's photos on TouchCopy. Select the photos that you'd like to transfer, and hit "Copy Photos"! The steps above will copy photos from your iPhone camera roll and photos added by iTunes. If you're interested in copying pictures included in your text messages, iMessages and WhatsApp messages, try reading our How to transfer photos from iPhone messages article for more information. Firstly, ensure that you are running the latest version of iTunes on your PC. Ensure that your iPhone is unlocked. You may also need to tap to allow the PC to access your device. Open the Windows Photos app, click Import > From a USB device, and follow the instructions to complete the transfer. Download TouchCopy on your Mac and run it. Connect your iPhone to your Mac using a USB cable. Select the photos that you'd like to transfer, and click "Copy Photos"
To also transfer photos included in your text messages, iMessages and WhatsApp messages, see the steps given here. Firstly, ensure that you are running the latest version of iTunes on your Mac. Open the Mac Photos app, select the iPhone photos that you wish to transfer, and click "Import Selected". To import all of the photos, simply click "Import all new items" instead. If you find yourself regularly transferring photos from your phone to your computer, you may want to consider using a cloud service. Cloud storage services store your data in "the cloud" (an external server). This is great, because you can then link your computer and multiple devices to your cloud account which allows you to access all of the data at anytime, on any device. Thinking about photos specifically, you can set your phone up to store any photos you take in your cloud storage, so that they're not taking up loads of space on your device. There are many cloud services available, but some of the most popular are iCloud, Google Drive and Dropbox. Transfer photos, music, messages and more between your Android and Computer. 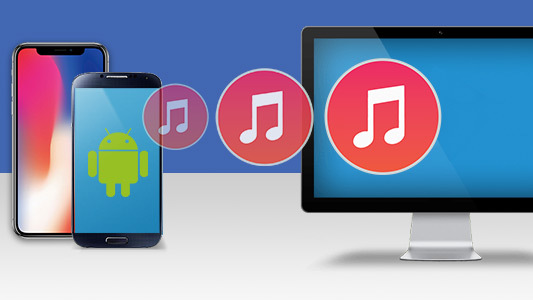 Transfer Music, Photos, Messages and loads more from iPhone to PC or Mac. Make it easy for yourself. Backup and manage photos, video and music on your phone from your computer. Get your free demo, today!